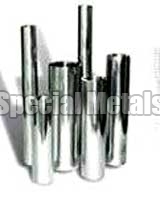 We are ranked amidst the prime Exporters, Importers and Suppliers of the highly durable Stainless Steel Pipes. Our Stainless Steel Pipes are especially imported from the reliable vendors in the international markets. The Stainless Steel Pipes, supplied by us, are available in ERW and Seamless conditions.